I attended a couple of events at the recent Dublin Book Festival in the Smock Alley Theatre and both were well attended and very interesting. The festival, which ran for six days, has been a great success (according to busy staff! ) with writers from home and abroad involved in readings and interviews. The friendly, casual atmosphere was also a great opportunity to speak with authors and get books signed. I managed to speak with John Givens (one of the authors reading his work in ‘A Medley of Stories’) about his story set in Japan and he was very approachable and happy to talk. The reading was held in the Banquet Hall which is a beautiful space that has been renovated to its former glory. The old building is celebrating its 350th anniversary and the bright, winter sun really brought the tall, stained-glass windows to life. 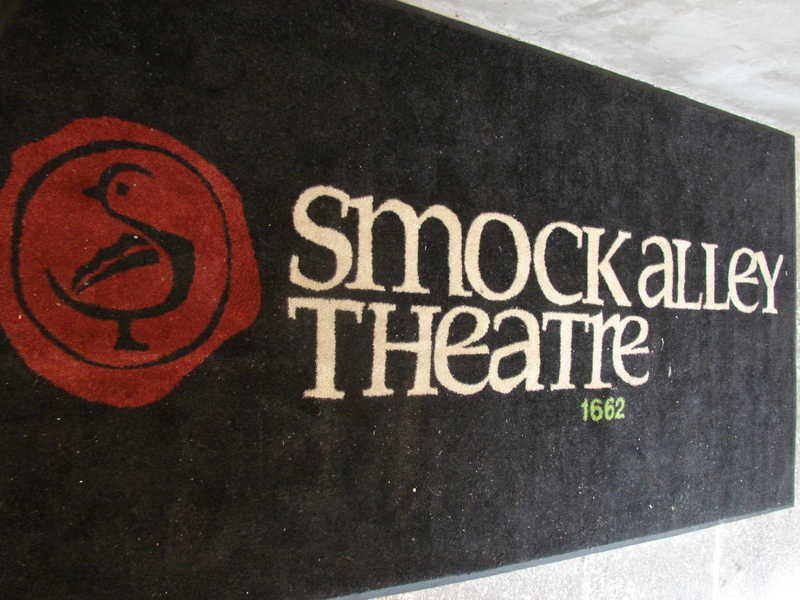 If you are in town then a visit to see Ireland’s first great theatre is a rewarding experience. Put it on your list of ‘things to do’ in Dublin. For a short story writer like myself, the interview conducted by Eithne Shortall (Chief Arts Writer for the Sunday Times Ireland) with three of its leading exponents was very informative and entertaining. This was held in the main theatre, which with its bench seating (and soft cushions, thankfully!) and fine acoustics, was how I hoped it might be – and it didn’t disappoint. It was a lively discussion with plenty of light moments and I came away with some interesting ideas – food for thought. The Festival is a great part of the cultural life of the city, and as book festivals go they definitely ‘got it right’ and long may it grow and prosper. Definitely in Smock Alley Theatre! Congratulations to Dublin writer Gene Kerrigan for winning the CWA’s Gold Dagger for his book The Rage. If you want gritty realism and a brilliantly paced crime thriller with believable characters then Kerrigan is your man – and this is a real cracker. It’s a first-rate effort! If you haven’t read any of his work then check him out – you will not be disappointed. Well done! 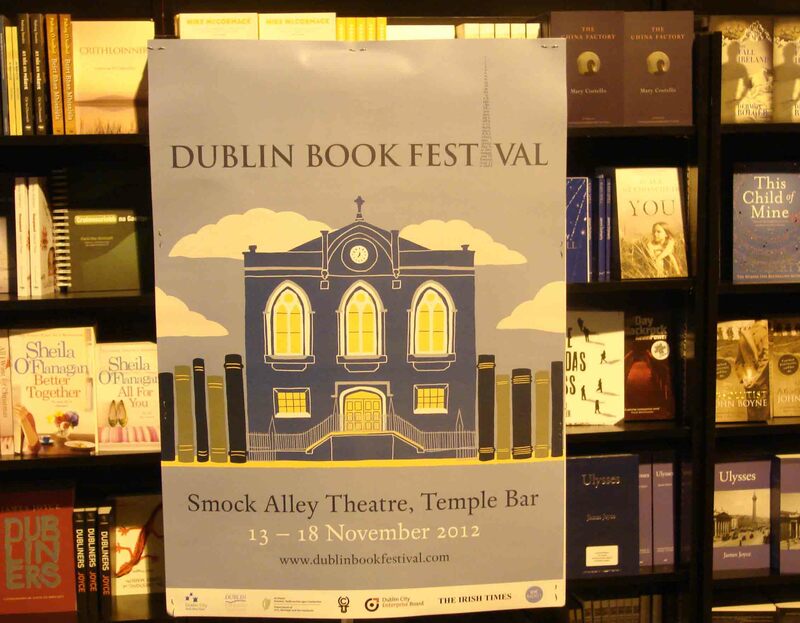 Next week sees the opening of the Dublin Book Festival which promises to be a highlight for all literary fans. There will be a full programme of events for all ages in various locations; workshops; interviews and readings from the great and good including Roddy Doyle, Jennifer Johnston, Fintan O’Toole, Declan Hughes and many others. It should be well worth checking out. I was at a music recital last week – Beethoven, Haydn and Mozart – and it was most enjoyable indeed. Listening to Mozart I was reminded of another evening when I went to the National Concert Hall with my mother, which sometime later inspired me to write a short story. It’s called Mum & Mozart and please let me know what you think, thanks. ‘If music be the food of love play on’ always makes me smile, especially when I think about my mother. She was a music fan, a lover indeed, and this famous line from Shakespeare’s Twelfth Night was something that she truly, deeply believed in. Our house was never quiet when mum was around. The sounds of opera and orchestras drifted from big 33 1/3 rpm records she treated like family heirlooms. They were her pride and joy and she loved nothing more than tearing the cellophane from a new disc and placing it reverently on the turntable. I remember the look of anticipation on her face as the needle dropped, scratched and hissed momentarily, before the strains of violin, piano, soloist or quartet made her smile the broadest of smiles. It was transfixing and one of my earliest, and happiest, childhood memories. It was no wonder then that growing up with such a lover of music I was encouraged to get involved and for many years I took piano lessons. Although I practised hard, and recall the touch of her hand gently squeezing my shoulder as she whispered ‘That’s nice, really nice’. We both knew that I was never going to be the next Mozart. It didn’t matter to her as long as I tried and I grew to love the Austrian maestro and his many wonderful works. 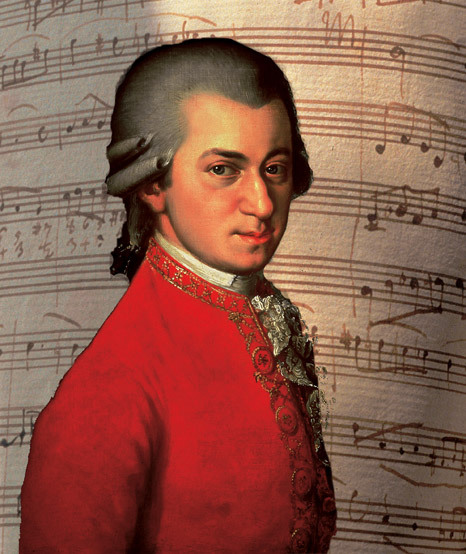 Of all the great composers she introduced me to on my musical journey, Mozart’s warm, inspiring and exuberant music is something that has stayed with me and for which I am always and happily in her debt. She did not come from a very musical home herself but they were very enthusiastic for their daughter. She was taken to singing lessons and concerts whenever possible and this was something of a treat for such a young girl. She would recall the old gramophone with its box of needles. The records were heavy, black vinyl plates that all too often became scratched and cracked. She spent hours in record shops and got to know the best places to go. Sometimes the owners gave her free records recognising her great love of music. She collected music by all the great composers and was as knowledgeable of classical music as anybody I have ever known. I found a few of her old records recently in the attic, the sleeves dusty and torn, and wondered how many times did she slide them out and put them on her record player? Countless, no doubt, I thought, as I gently clean them off and place them beside my own CD collection. They look out of place but they sound just as good. As I grew up pop and rock music became a bigger part of my life. I listened to the radio and discovered The Rolling Stones, Led Zeppelin, The Eagles, Fleetwood Mac, Stevie Wonder and countless other bands that now I cannot remember. Their music made an impression some good, some bad, and it was discussed endlessly with friends late into the night – our own musical rite of passage. Some of us were fans of one band or another and we took great delight in defending our own personal favourites. We were committed to the music and I came to understand why my mother had such a love of this mystical medium. You cannot touch it, taste or smell it, but you can certainly feel it. Music inspires and lifts the soul, expressing happiness and sadness that words could never hope to do. The magic of music is wonderful and it always had the power to surprise and make me feel better throughout my life. In later years I accompanied my mother to concerts and operas in the National Concert Hall and The Gaiety Theatre, nights out that I remember fondly. The one that stands out for me and the one which illustrates her love of music was a Mozart night in the National Concert Hall. The foyer was abuzz with excitement long before the start. We sat with our drinks and my mother was bubbling excitedly looking at the happy faces and listening to the friendly conversations around her. ‘Isn’t it wonderful?’ she asked and I grinned a reply. When we were seated she immediately leaned forward to look over the balcony at the milling crowd below and the stage beyond. She sat back in her seat, clasped her hands tightly and nodded her head slowly in response to some inner rhythm. With the seats filled and the doors closed the lights were dimmed and the performers took to the stage. Silence descended and you could almost hear the audience breath as one waiting for the music to begin. It opened with a rousing version of the Overture to the Marriage of Figaro which was loudly applauded. There followed some beautifully played piano concertos and his Clarinet Concerto, which is my own personal favourite. Every so often I would glance at my mother and see the concentration and happiness on her face, but it was when the singers took the stage that I saw what I can only describe as a transformation. She was in her eighties then, but the singing seemed to unlock something within her and I was privileged to see it. During the Sull’aria, from the Marriage of Figaro, I heard my mother sing very quietly, like the whisper over my shoulder from a lifetime ago. I had never heard her sing like that before and I was immensely proud. When I glanced at her again I didn’t see an old woman sitting beside me but a young girl lost in music, bright-eyed with her whole life ahead of her. When it finished she smiled at me and it took all the strength I had not to cry. It was a magical moment and I’m sure even Herr Mozart would agree that he had struck the right chord and that music is indeed the food of love.